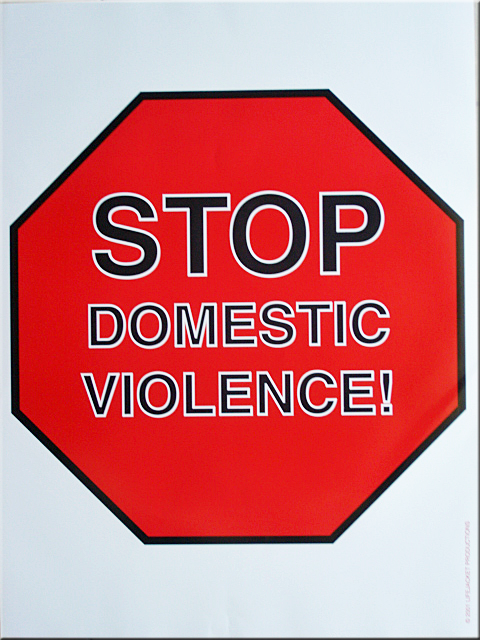 Includes all four Domestic Violence posters for the sale price of only $10.95 per package. 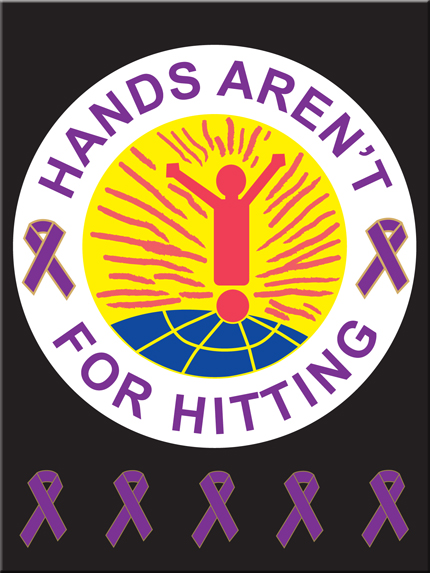 Regular price is $3.50 each. 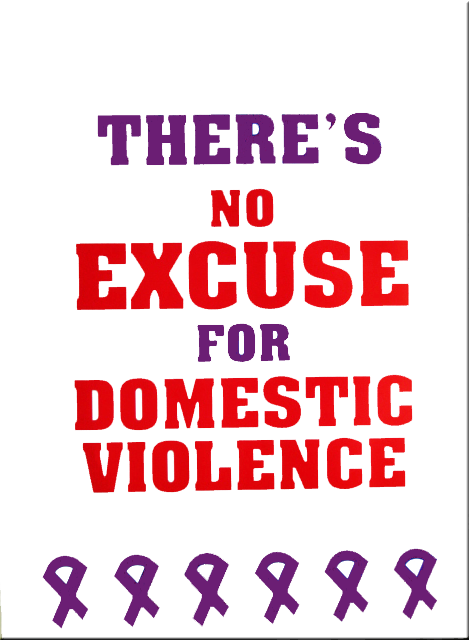 *FREE POSTER OFFER! 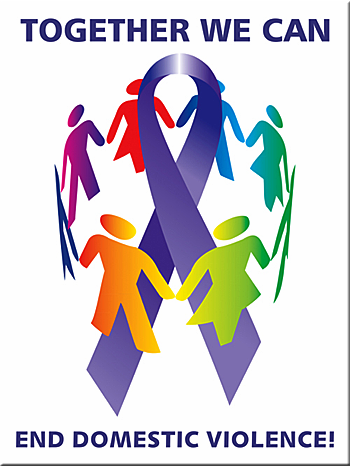 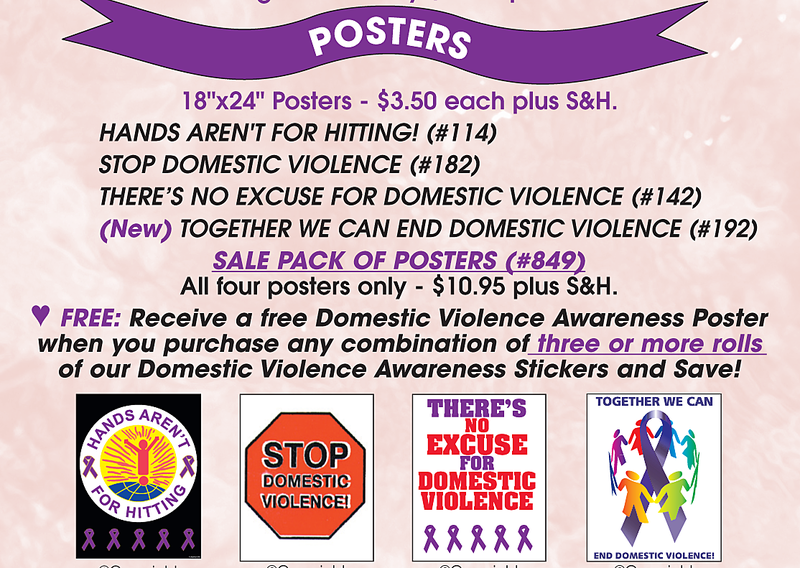 Purchase any combination of *three or more rolls of our Domestic Violence Awareness Stickers for the sale price of $48.95 per roll… and you will also receive one of our Domestic Violence Awareness Posters….Free! 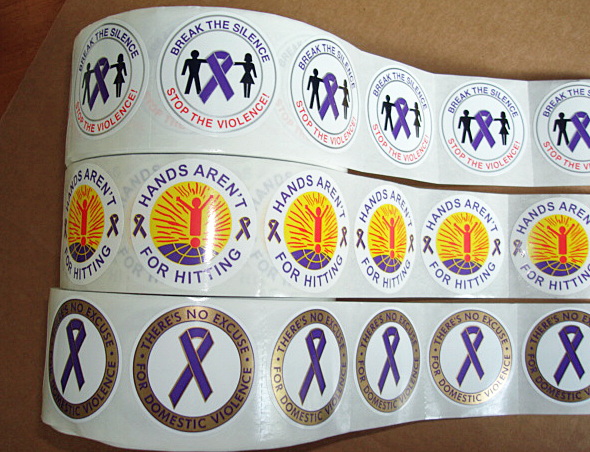 Regular price is $53.95 per roll.